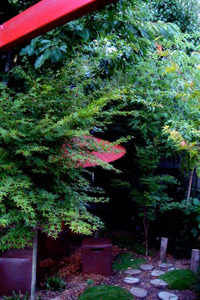 French antiques, oriental art, your private oasis in tranquil Dwellingup. Priced from $160 per night (second night) with discounts for longer stays. Booking enquiries can be made here. Set within the convenience of the town and surrounded by a beautiful garden this getaway is ideally located to take advantage of Dwellingup’s amenities yet is only metres from the beautiful forests and trails that surround the township. 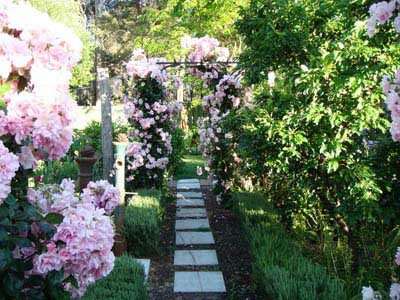 Dwell Cottage is a garden retreat far away from the hectic pace of life. Your oasis is fully self-contained with luxury paramount. 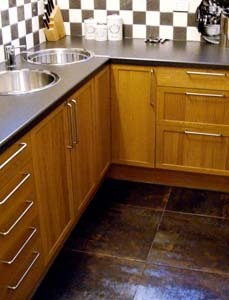 The cottage is self-catered or use the town's facilities. The cottage features a kitchen, bathroom and living room with a separated bedroom. For your year round comfort there is reverse cycle air conditioning and a ceiling fan. The living room, as you would expect, has all the features of a luxury cottage including TV, DVD player and stereo through to a plush toile de jouy sofa. 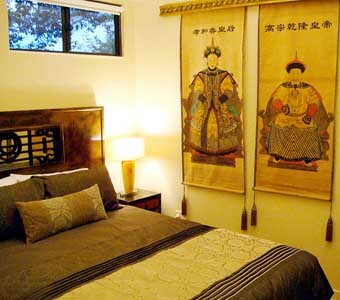 The luxurious bedroom is furnished with a French/Oriental theme. There is a 5 star hotel queen bed with 1000 thread count cotton sheets. Switch on the electric blanket for those crisp winter nights. The kitchen has all the conveniences to prepare a full meal (microwave/convection oven and gas hotplates). 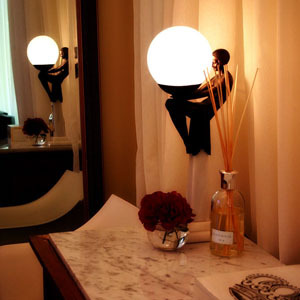 The glamorous bathroom features a large shower and heated towel rails. 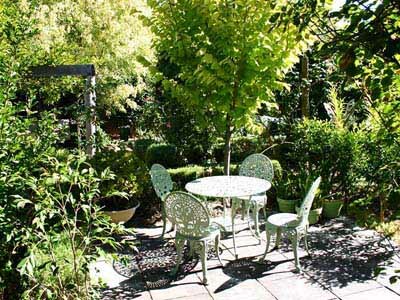 Outside the cottage is your own private courtyard to dine in or just relax. You also have the choice of other sitting areas in the terrace, the “bus stop” arbour with its scented thyme garden or the secluded daybed under its leafy canopy to suit your mood. 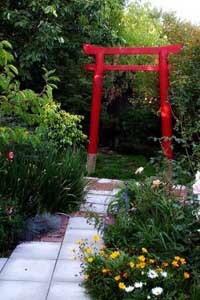 The Japanese Garden, like all garden areas, is there for guests to enjoy. After dinner relax on the terrace and gaze up to admire nature’s dazzling skyshow – the milky way is spectacular here, away from the city lights. 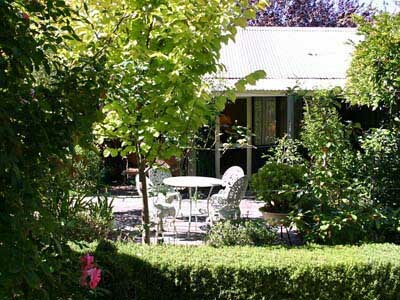 The garden pavilion and lawn are the perfect place to relax and take in the tranquillity of Dwellingup. Why not enjoy your morning tea on the lawn and pre-dinner drinks in the pavilion listening to your favourite music on the sound system? Hold your mouse over the text or image to pause.